Oliver is 1 and gigantohuge and very red. I don’t know if he’s an Irish setter mix or a golden mix, though I’d guess the latter. He might be mixed with Great Dane, or heck he could just be a straight, if large and rangy, golden. Whatever he is, he’s a kisser. SLURP! 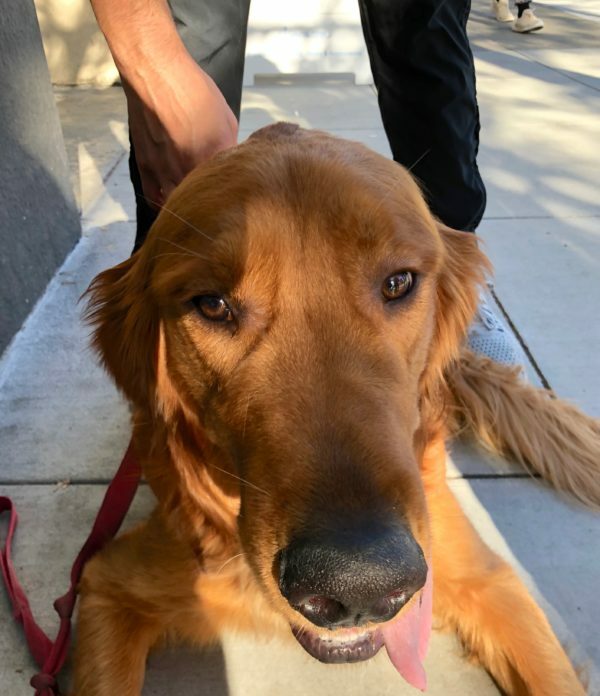 This entry was posted in Dog of the Day and tagged Chestnut Street, Golden Retriever, Marina, Mixed Breed. Bookmark the permalink.